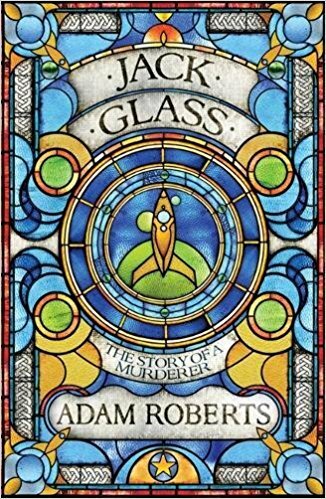 I was blown away by Jack Glass by Adam Roberts. 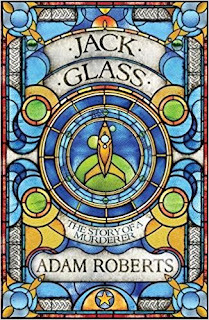 I suspect what made this for me is that Roberts consciously was setting out to write a book that took on some of the conventions of the golden ages of science fiction and crime writing - both favourites for me. It is a new book. It is a modern book. However it encompasses the best of the old. And the result is absolutely wonderful. The antihero of the novel, Jack Glass, tells us up front that he is the murderer in each of three sections of the book - but this doesn't prevent the stories (which fit together almost seamlessly) from working in terms of suspense and anticipation. The first section is probably the weakest and the middle the strongest, so if you make a start and struggle a little with the starkness of the first, do keep going. Roberts happens to be a professor of literature and if I say it doesn't show, I mean that in the best possible way. Although the book is very well written with some elegant turns of phrase, it doesn't get in the way of the storytelling as is so often the case with 'literary' writing. If I'm going to quibble, Roberts gets the faster than light science wrong in the third section - but I always say that SF is fiction first and science second - this really isn't too much of a worry. If you like old school science fiction and haven't found anything you can really enjoy for years you should rush out and buy Jack Glass.